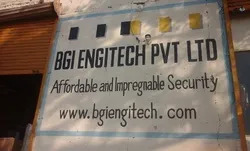 Since our inception in 2010, we, “BGI Engitech Private Limited” are an ISO 9001:2008 Certified business entity engaged in Manufacturing and Exporting a comprehensive assortment of a wide range of product includes Sliding Gates, Security Bollards, Flap Barriers, Automatic Boom Barriers, Crash Rated Barriers etc. Our products are fabricated using a genuine raw material, which is procured from the certified vendors of the market. Additionally, our range is strictly developed in tandem with the international quality norms and standards. Owing to this, our products are widely known all over the world. Besides, the range is also known for its attributes such as durability, reliability, excellent performance, corrosion-resistance, easy maintenance, efficiency, strength, sturdy construction, easy installation and longer functional life. Based in Ahmedabad, Gujarat, we have developed an ultra-modern infrastructure, which sprawls over an area of 1,900 square feet. Our infrastructure is segregated into various departments such as manufacturing, production, quality control, research & development, warehousing, packaging & administrative and sales & marketing. This is done to facilitate easy operation and ensure organized handling of business operations. Besides, our infrastructure is incorporated with all the modern machinery, tools and equipment. To maintain the efficient rate of production and to keep pace with the upcoming advancements, we frequently upgrade the machinery, tools and equipment. We have also developed a quality testing unit, where all our products are thoroughly quality tested on various well-defined parameters, to ensure their quality, flawlessness and zero-defect.Engineered to meet the most exacting international standards for anti-ramming products, BGI's bollards and gates are able to withstand impacts and provide a safe and secure barrier for your facility entrances and exits. Our innovative cable barriers are industry leaders in mobile or fixed solutions and our anti-ramming bollards have been designed to provide maximum performance and reliability. 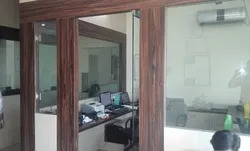 Under the able guidance of our Marketing executive, "Ms. Drashti Chaudhary", we have been able to provide the customers with a quality-approved range of products. Her marketing skills, fascinating business decisions and motivating persona have helped us in setting a mark in the industry, within just 2 years of commencement. We are backed by competent professionals, who have helped us in achieving new heights of the zenith. These professionals are selected after a stringent examination process and henceforth are well versed in the modern tools & technology. Owing to this, they strive hard to achieve the best possible in every process and serve the clients with the best. For this, our team members maintain a close contact with the customers to know about their specific needs and serve them accordingly. Additionally, our team members employ high intentions, sincere efforts and intelligent direction to deliver a flawless range of products.Whether you require a single bollard or need of a complete perimeter security solution, our team of physical security specialists is available to help you plan the optimal product configuration and layout to meet your security goals and fit within your budget. We have joined hands with some of the most reputed channel partners across the world. With their guidance and support, we have been able to bring creative gate automation for diverse industrial, residential and commercial complexes. Owing to their efforts, we have been able to improve our quality, efficiency, and effectiveness. GiBiDi, Italy: BGI Engitech in collaboration with GiBiDi, Italy has brought to India, creative Gate Automation for both Residential complexes and Industrial houses. TIBA, Israel: BGI Engitech in collaboration with TIBA, Israel has brought to India the state of the art, Israeli technology which is an easy, efficient & effective solution to all your parking needs. B.G. I Engitech Pvt. Ltd, India is a wholly owned subsidiary of BG Ilanit Gates & Urban Elements Ltd., Israel. BGI Group with its 28 years of knowledge and experience is a leading provider of Anti-Ramming perimeter protection solutions. BGI is an ISO 9001:2008 company and is certified in Manufacturing, Exporting and Installation Service. All products have been developed and certified by experts in the field of security and meet the K8 standards and equivalent PAS standard. B.G Ilanit specializes in preventing ram raids (intrusions) by vehicles. The company offers a line of products suitable for military and civilian needs and has over 28 years of knowledge and experience in the field of providing security solutions, which enables it to supply products and services to the highest international standards. The company has a professional and well-experienced team that includes experts in Hydraulics, Pneumatics, Electrical control system, and a team dedicated to customer service and support. The company operates both in Israel and abroad and offers installation, service and consultation. The company puts a special emphasis on combining strength with esthetics. The products offered are strong, durable, massive and blend with the surroundings. These products have been developed and certified by experts in the field of security.